At W Hollywood, newest luxury hotel, you’ll enjoy staying at the address of one of the most glamorous hotspots on earth—Hollywood and Vine, the legendary spotlit crossroads where fame meets fortune. Claim the historic Walk of Fame as your own personal side-walk. 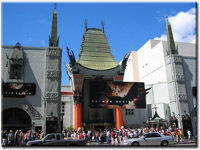 Share a street with the Pantages Theater and the classic Kodak Theater, home of the Oscars. Not to mention that a spectacular cast of landmarks, including the fully restored El Capitan, the cultural icon known as “the Greek”, and the world-famous Grauman’s Chinese and Egyptian Theaters are also players in your marquee ensemble. Escape to the Stylish World of W Hotels! Book Two get One Free!